Ward wrote an extensive backstory; it places the player in the brig of an unknown military holding. You assaulted an officer but he had besmirched the honor of Billy Blaskowicz IX's mother, a decorated soldier in her own right. The nod to Keen and Wolf3D was cute back when Doom was new but there's a new dimension now that the mobile phone games explicitly made "Doomguy" a member of the Blazkowicz family. You're partway through your solitary confinement when the rumors of strange happenings come to a head and one of your fellow soldiers busts up in your cell and attempts to eat you. Once he's dead you set out to see what the ruckus is all about. 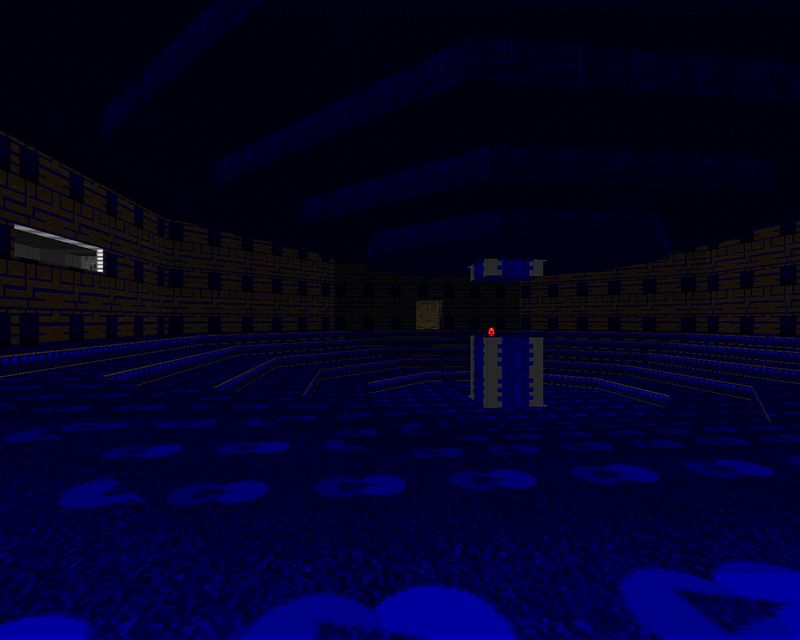 RRWARD01 feels like a very large level. Part of this is because the early portion of the adventure involves navigating a network of tunnels that's hidden on the automap and thus feels much larger than it actually is. 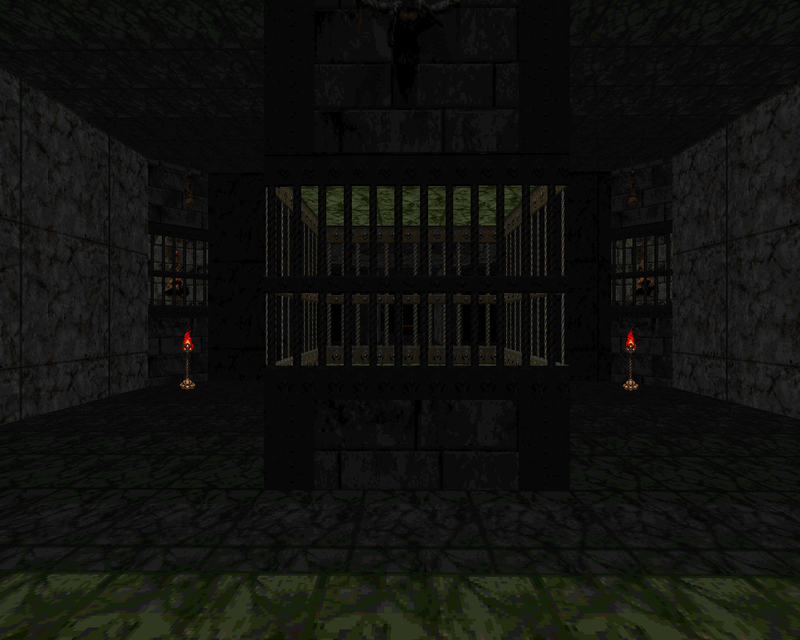 It's also quite economical with its layout, sending you to the far side of the map and then requiring you to backtrack through familiar halls made strange due to the appearance of mysterious alcoves. The "point of no return" where this occurs is a great '94-scripted moment and makes the sudden infusion of new monsters a more organic process. 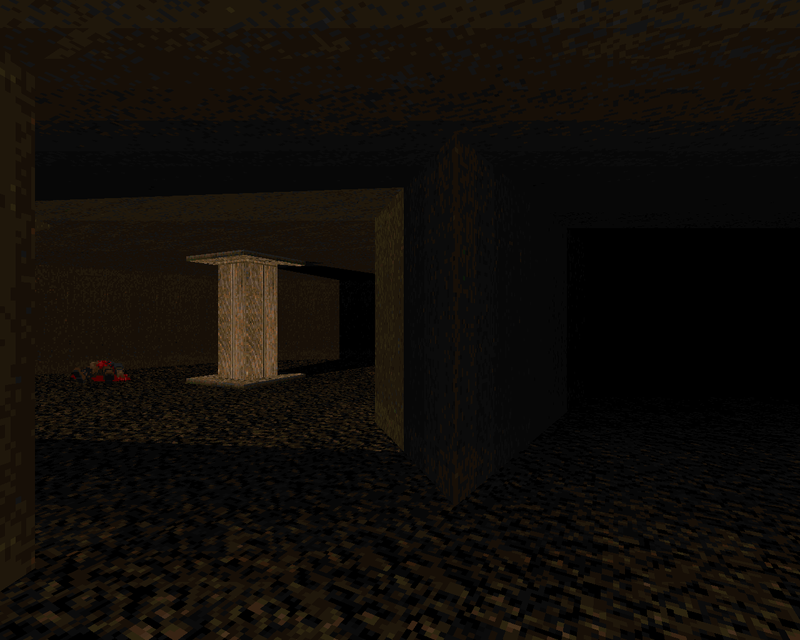 It's a great part of the atmosphere and dovetails nicely with the opening tunnel romp since an early instance occurs as you explore its unknown, hollow recesses. 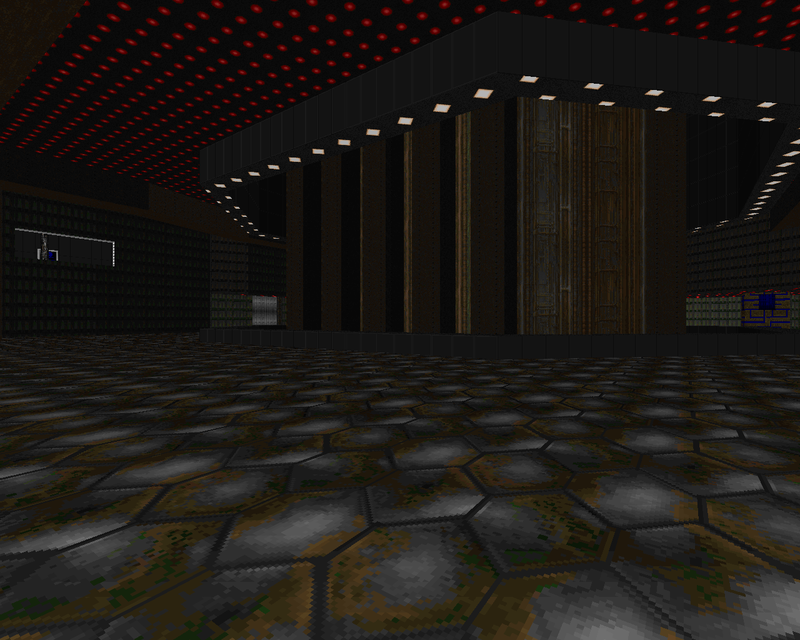 It's definitely a base, though, and part of the reason it's not as highly regarded as RRWARD02 is because so much of it is composed of rectilinear, brown hallways and relatively featureless offshoot rooms. This includes a couple of minimalistic water closets. It's slightly disappointing after running through the tunnel section and then dumping into the enormous "tower of power" room. Not by much, though. One of my favorite bits is a little garden tucked away in the middle of the map. No monsters beyond the imps at the bottom of the stairs and no items; just a virtual treasure for you to discover. There are also some cool bits done with lightcasting and Ward exploits these aesthetic showcases for ambushes. You sort of get a feel for what doomed this particular outpost when you reach the eastern area. The experimentation wing is dominated by an enormous octagonal chamber that appears to serve as one of several arrival points for the teleporters. They're some of the most low-key I've seen, only marked by the static lighting gradients in the departure chamber. This almost tripped me up because each one sends you to a different destination and my first pick lured me a ways down the normal progression route before I realized that I had forgotten to collect a key item. The combat is simple and weighted toward incidental encounters, particularly zombies in hallways and imps lurking in the dark. If you're careless it would be pretty easy to die to hitscanner attrition. The cacodemons appear exclusively in the most open areas, I think, and lost souls are just as rare albeit appearing mostly in different locations. 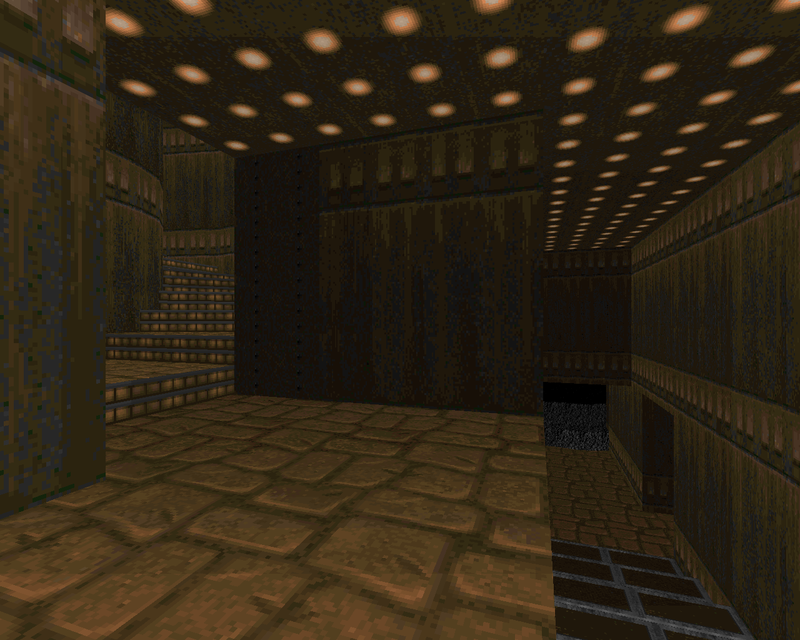 There's only one Baron in the whole thing and he shows up in a pretty cool secret annex made of marble and metal. Finding it is nice, since it has a plasma gun and some other goodies, but not necessary. You'll be okay as long as you pace yourself so as to not fall under withering shotgun fire. 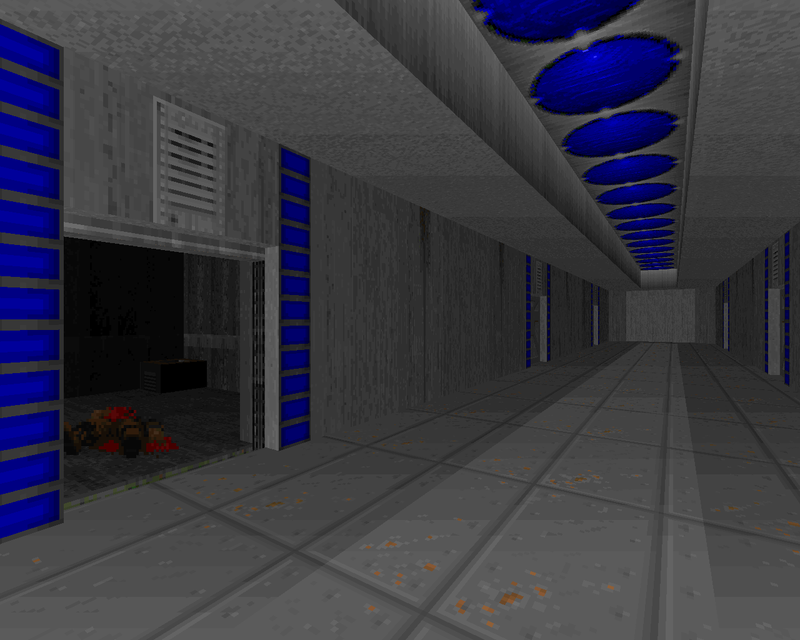 RRWARD01 is a pretty cool level for the original Doom and still holds up today, I think. Hiding stuff on the automap is bound to ruffle a few feathers but it's fun to explore. 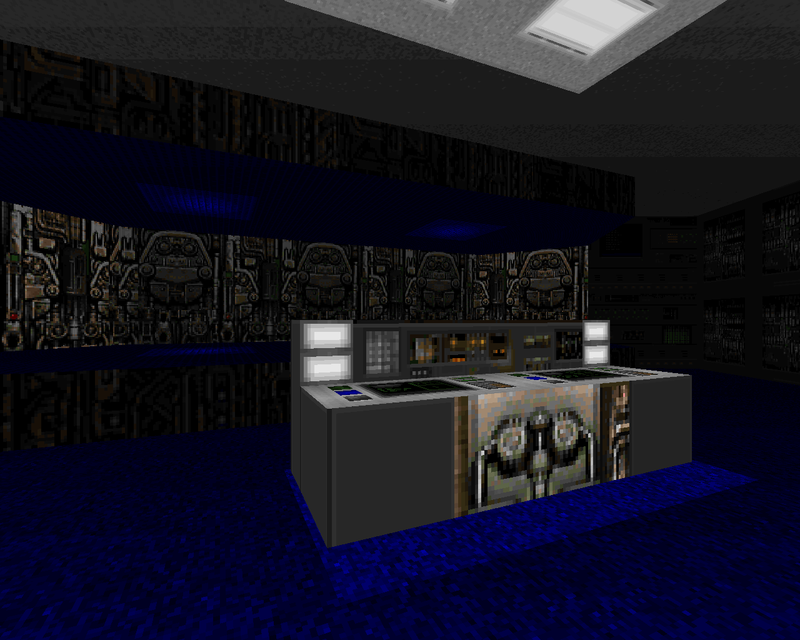 The Doom II version is virtually the same thing with some new stock textures, a cute WANTED DEAD screen (that apparently promises money to monsters), and a spartan sprinkling of creatures from the expanded bestiary. If that sounds like your thing then you might load it up instead. NOT THE RRWARD YOU WERE EXPECTING?